Here at LEAP Australia, we already know how good the IoT and PLM tools from PTC are – Thingworx and Windchill – after all, we work with them every day! But how do they stack up when reviewed by completely independent third-party researchers such as Gartner, Forrester and ABI Research? 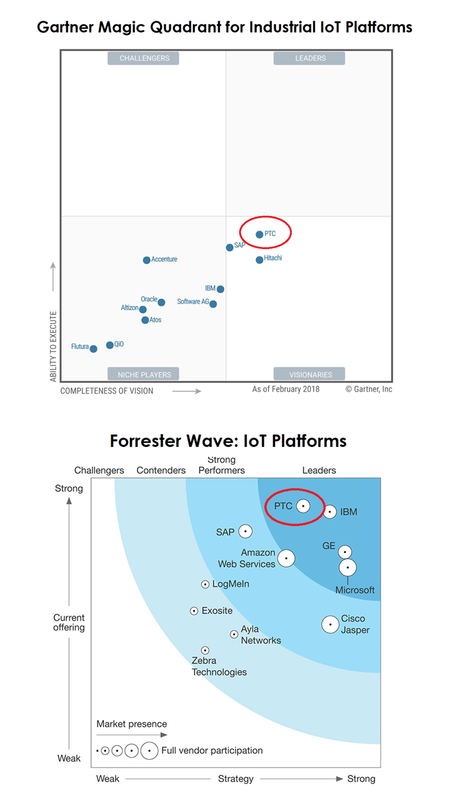 In each report, PTC’s IoT and PLM technology emerged clearly as a leader – ranked ahead in both it’s currently capabilities as well as the completeness of their forward-looking vision and ability to execute their planned roadmap. So if you’re as excited by this as we are, and not yet using Windchill or Thingworx in your business – we’d encourage you to get in touch with your local LEAP expert for an obligation-free discussion – after all, we are all operating in such a fast-paced, rapidly changing technological environment that you really need to ensure you’re getting the most current information to make a well informed decision!